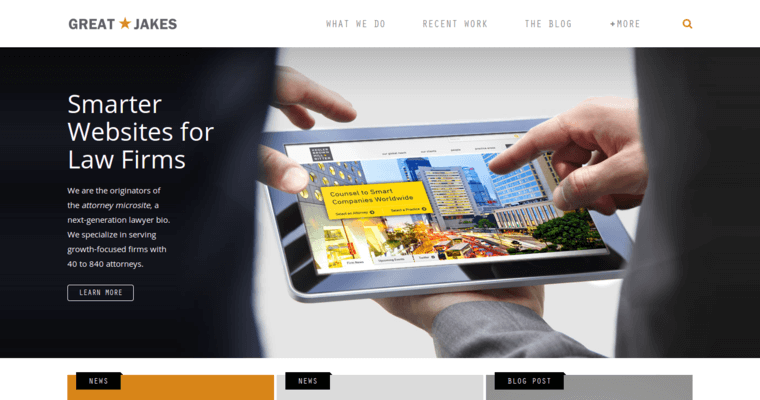 Great Jakes specializes in custom, interactive website development for law firms. Clients who are looking for a professional website that is consistent with their firm's image will find that Great Jakes' team of experts can provide quality web pages and successful SEO campaigns with ease and efficiency. 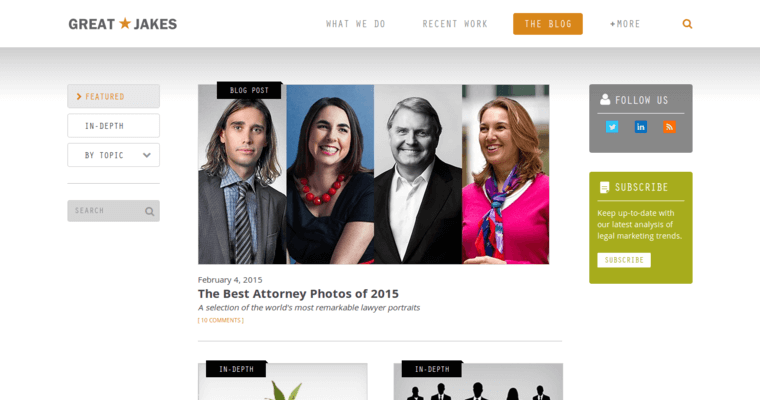 Great Jakes is committed to assisting law firms with fine-tuning their firm's identity by handling the creative needs of any web development project. With a qualified team of in-house experts, Great Jakes remains focused on staying knowledgeable in the legal industry. This expertise makes it possible for their company to provide affordable and quality packages that can be tailored to any firm's individual needs. 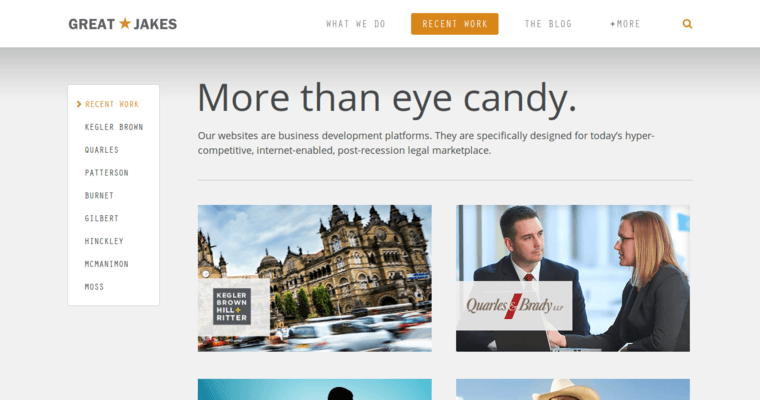 Staying on the forefront of all advancements in web design and internet marketing, their company is able to maintain its position as the top web design company for law firms.